I'm trying to contact you to add you to my pups pedigree. I have Aly Vom Vordersteinwalds decendant. From the breeding to.... Isa Von Der Bossen Nachbarschaft. 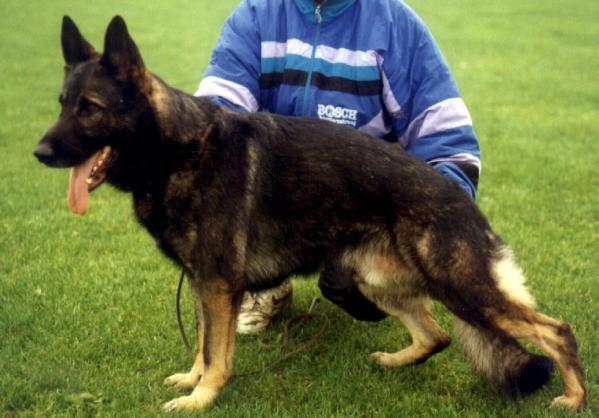 They had a pup named Gerry Vom Altbacher Wald (GER) 1071048 who was bred with.... Sly Von Dorf Fu381843. From that litter they had a female named... Tinks Sarenatie Trula PW069156 and I have a puppy from that litter who is on the database. I was wondering if you could link them together please.